Welcome to holidaycottages.cc for cottage holidays in the UK and Ireland. 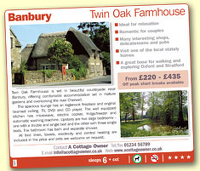 Rebook your advertising with Holiday Cottages and Save £££’s on our usual prices. Why advertise with Holiday Cottages? Holiday Cottages is a big glossy travel magazine with a big difference: it’s aimed at people who want to rent houses and apartments for self-catering holidays in the British Isles. In fact, Holiday Cottages is the UK’s only magazine focused exclusively on the self-catering sector in Britain and Ireland. Published EIGHT times a year, Holiday Cottages is on sale for £2.95 in selected WH Smith, Tesco and other leading supermarkets, newsagents and bookshops, and has a distribution of 15,000 per issue. The magazine is complemented by www.holidaycottages.cc, which gives access to all the resources of Holiday Cottages, including a comprehensive online holiday property search. Constantly updated, it’s currently receiving more than 400,000 unique visitors per year. The combination of magazine advertising ensures that you reach over *500,000 potential customers while they actively look for somewhere to holiday. * Based on 120,000 magazines circulated per year and 400,000 individual website visitors. We are offering a selected number of owners the opportunity to rebook with Holiday Cottages at a vastly reduced rate. 1. A 1/6th of a page advertisement in Holidaycottages.cc – reaching over 120,000 readers per year. A full colour advertisement in the next eight issues of Holidaycottages.cc. Free of charge advertisement design service. Change your advertisement throughout the year at no additional cost. 2. 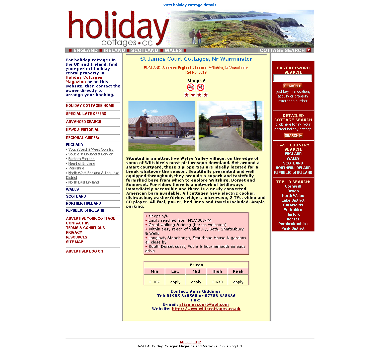 An advertisement on www.holidaycottages.cc – reaching over 400,000 individual users per year. Details of your seasonal rates. A full list of your property’s facilities. Your contact details including a hyperlink to your own website and email address. Interactive availability calendar – allowing YOU to update it – the instant, easy way to show holiday-makers when your cottage is available to let. Your full page advertisement will appear on our searchable database of 1,000 holiday accommodation options. www.holidaycottages.cc is not just an online accommodation directory — it is a complete online resource providing extensive information.